Your child learns at his own rate. He is neither held back nor pushed forward according to the learning rates of other students. In a traditional classroom, all the children are learning the same thing and moving through the curriculum at the same rate. We know that each child has different abilities and interest. Some are good at math, while others excel in language and so on. They all have different interests as well. Since children are so different, it is unrealistic to expect that they will learn at the same rate. Because of the repetition that Maria Montessori built into her system, a child is allowed to work on something until she masters it. Since they don’t move on to the next skill until they have they mastered the present one, there are never any gaps in their education. That means there is never any need for remedial education. Your child learns how to focus and concentrate. 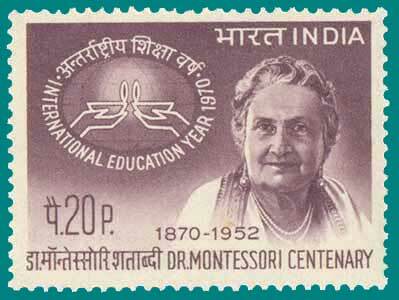 One of Maria Montessori’s goals was to teach children how to concentrate. This is one of the foundation skills for learning, and one that is largely ignored in traditional school systems. A Montessori day is structured so that a child’s focus is never interrupted by having to move on to the next lesson before finishing the current one. Montessori accommodates all learning styles. This is important because some children are visual learners, some are auditory learners, some learn through body movement and feeling, and some use a combination of several learning avenues. 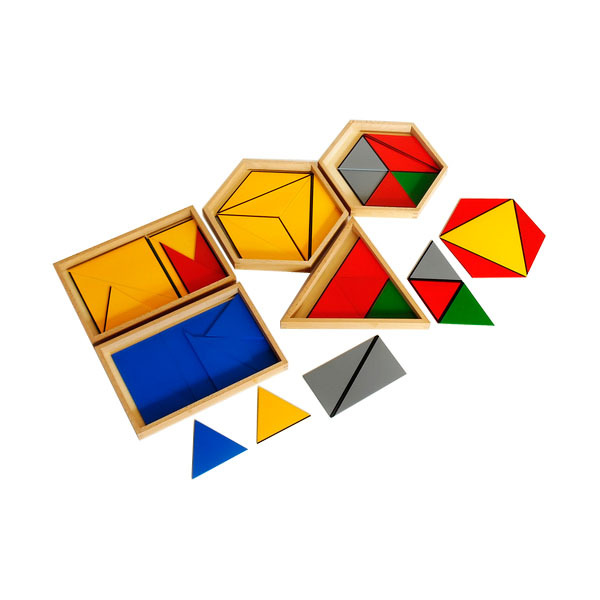 Montessori teachers are trained to use all the senses; the use of the didactic materials reinforces this. Your child will master the important life skill of being a self-directed learner. 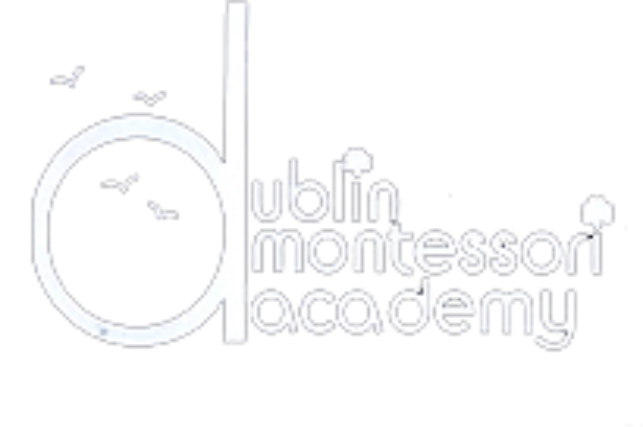 Montessori’s aim is to nurture the inner motivation of the child while allowing the opportunity for the fullest possible exploration of his or her interests. This nurture of learning begins as soon as a child enters the scientifically designed classrooms. You will often hear the phrase “prepared environment,” because the classrooms are so carefully designed to ensure the child has the freedom to learn. This freedom to explore and choose areas of interest will carry over into a willingness to explore areas that may not otherwise appeal to a child being “force-fed” information in a traditional school setting. The prepared environment of a Montessori classroom helps children learn to think for themselves at a rate determined by the Director. A young child new to Montessori may be given more direction at first, but as children grow in confidence and experience they are allowed to make more decisions for themselves. Your child will achieve independence by learning how to take care of herself—her body, her belongings and her environment. Montessori understands that at the heart of every child is a healthy drive toward independence. Independence is important because it is directly related to high self esteem, competence and cooperation. Therefore, every aspect of the Montessori classroom has been designed with the goal of an independent child in mind. Every feature and piece of equipment in the classroom is fully accessible to the child, so they don’t have to constantly ask for help getting things. Tools, like the broom, are of a size they can handle easily, and children are free to choose their own work. Finally, the Montessori Director is trained to encourage independence by allowing the children to do things for themselves as soon as they are capable. For example, if they are learning to tie their shoes, the Director will ensure that are not rushed or interfered with. Montessori classroom is a place where children learn order. This provides the sense of security and comfort they need to become self-directed. Everyone, including children, prefers order to chaos because it is easier to function in an orderly workplace. Order helps children become independent because they can always find the work materials they are going to use next without help. By being taught to maintain this order, your child will be learning awareness for others and the fact that you have to take care of the things that are shared—which is the basis of cooperation. The order of a Montessori classroom is also present in the routines that exist. The children enter the classroom (which has been set up so that everything is meticulously in its place), hang up their coats and other belongings, greet the Director, and get straight to work. And every aspect of this routine has been patiently presented to them. There is also order within the materials themselves: every tray or piece of material on a shelf is always in its proper place and ready to be used. While at work, disruptions are kept to a minimum so children can focus on the task at hand. All of this is why anyone observing a Montessori classroom sees a well-ordered, calm and functional environment that is perfectly set up for learning. The classroom and the materials are designed and displayed in a way that helps your child learn how to cooperate with others in their use and have respect for the needs of others as well as the use of the materials. The social goals of helping children learn how to get along with each other, respect each other and cooperate are an important component of the Montessori approach to learning. ​There is only one Pink Tower in the classroom, for example. Having to share materials helps promote cooperation and patience. Having to walk carefully around each child’s mat (on which the work is done) teaches respect for others all day long. ​In addition, Montessori also includes structured lessons on grace and courtesy so that the child learns important social skills such as how to greet and introduce people; how to ask for something properly; and even mundane graces such as how to sneeze, cough and yawn politely (it’s fun to watch all the children blowing their noses a lot the day they learn how to do it properly). Your child will be treated with respect and dignity in a Montessori classroom. In Montessori the child is always working on the adult he is going to become. Montessori recognizes that children deserve and need to be treated with the same respect that we treat adults. Although they are relatively inexperienced, as a parent you must recognize that the way to help them learn is by not criticizing “failure”,” but rather by recognizing the incident as an opportunity to learn what went wrong, and helping the child find his or her path to a proper solution. This concentration on raising the child’s self esteem, coupled with a focus on the rights of others, develops the child’s entire being in a positive way, and helps the child to learn to respect the rights of others as well. A multi-disciplinary approach is taken in regard to your child’s interests. If your child were interested in dinosaurs, for example, this interest would be explored throughout the curriculum. She would be encouraged to read about dinosaurs to learn language skills; study the measurements of dinosaurs to understand match concepts; and depict dinosaurs when doing art lessons. Her interest in dinosaurs could even be used to facilitate lessons in history and geography. Montessori recognizes that when a child’s interests are involved, any subject becomes fascinating. Perhaps the biggest benefit of a Montessori education is that It teaches children how to learn instead of just what to learn. It instills in them a life-long love of learning, which prepares them to successfully go in any direction their skills and interests may take them.